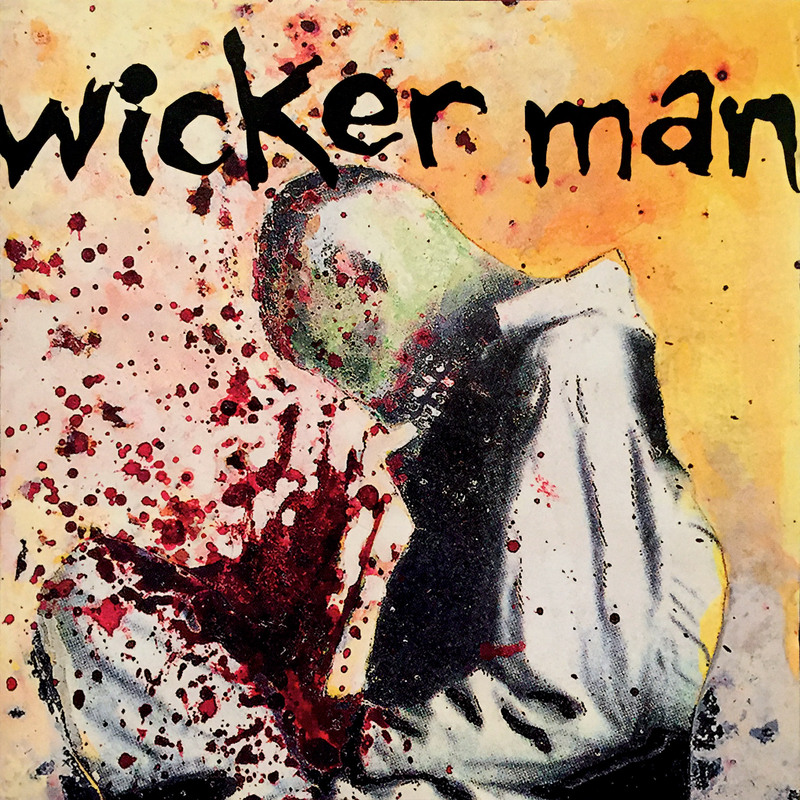 I only discovered Chicago quartet Wicker Man about two weeks ago in the midst of feverishly buying up '90s hard rock/metal compilations, so I really don't know much about 'em. Bios floating around online state that the group formed in the early-'90s and released an indie EP called Gun War in 1992, but that last bit appears to be inaccurate. A couple of the album tracks appeared on 7"s and compilations—all around approximately 1994/1995—culminating in but one 13-song self-titled full-length via Hollywood Records. Who knows when Wicker Man faded away, but fun fact: members later landed in Behind Enemy Lines and Buried at Sea, among others. As with nearly any unsung major label gem of the '90s, dirt cheap Wicker Man CDs abound. In fact, there are brand new copies on Amazon for like $2 plus shipping.